Flatiron sits between Park Avenue South and 6th Avenue, stretching from 14th Street up to mid-20s. 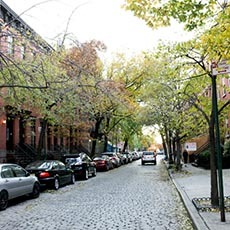 Spacious tenement buildings and lofts built in early 20th Century predominantly occupy Flatiron. Many old industrial and warehouses here have been converted into modern living spaces. There are also prewar co-op apartments. Flatiron Building – the center of the Flatiron neighborhood – stands at Fifth Avenue and 23rd Street. 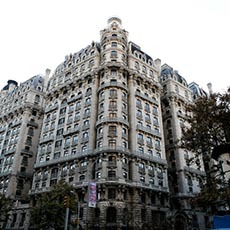 Another famous resident, Madison Square Park, is just at the northeast of Flatiron Building. Other notable landmark buildings in Flatiron include the MetLife tower, The New York Life building, and the new residential giant – One Madison Park. 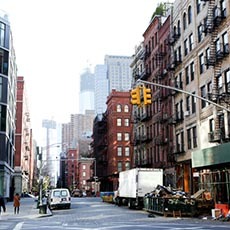 Flatiron District is an exciting area for designer shopping and cuisine hunting. The lounges and clubs heat up the night in the neighborhood. 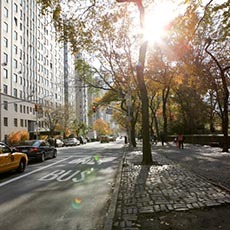 There are also outdoor concerts and public art exhibitions at Madison Square Park.